At WBParts our corporate mission statement, which every employee knows and abides by, is Customer Satisfaction Through Continuous Improvement. Our daily activity encompasses this mission statement in everything we do. 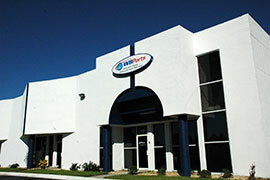 Since 2006 WBParts has grown into an industry leader with over 50 employees. We embrace cutting edge technology and systems to make the process of serving our customers more efficient and accurate. Customers continually tell us what a joy our company is to deal with. We take great pride in turning a sometimes faceless business into a personal relationship with our customers large and small. You can always count on us to do the right thing for the customer. Highly experienced staff, experts in import and export regulations and government purchase requests. Our specialties includes military aircraft structural components, mil-standard hardware and fasteners, test stands, and aircraft line replacement units and subassemblies. Our supplier network is comprised of AS-9120 and ISO-9002 Certified Manufacturers and distributors. 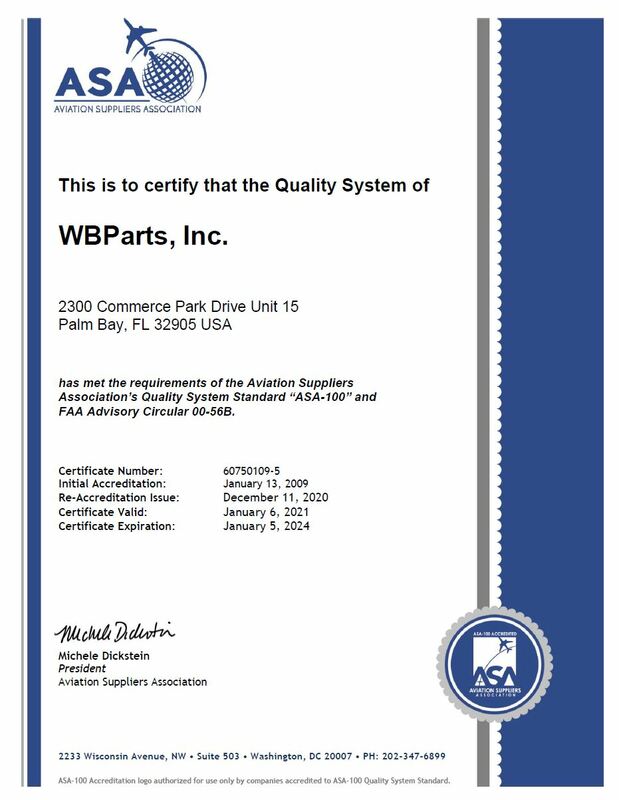 As such, parts sold by WBParts are accompanied with traceability and airworthiness certifications. 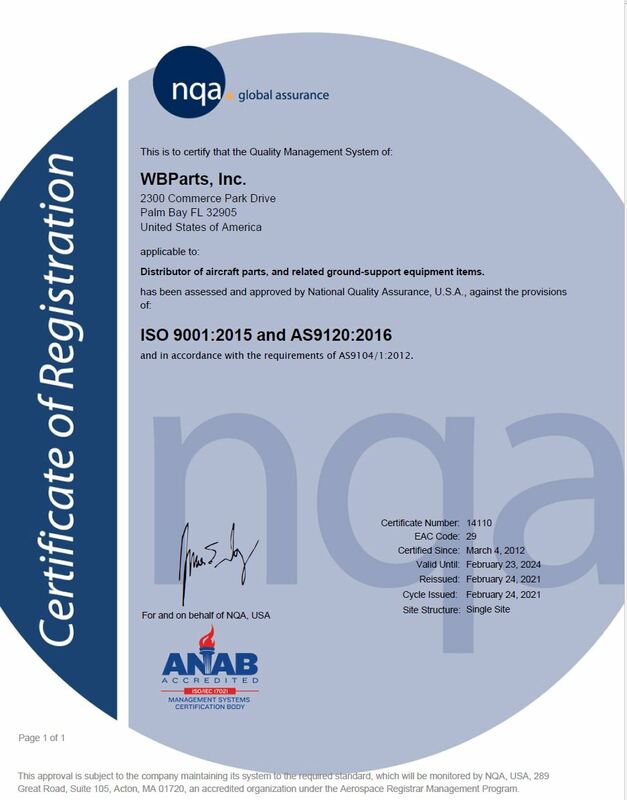 WBParts is an AS-9120, ISO-9001 and ASA-100 Certified Supplier and proudly maintains an "Automated Best Value System" (ABVS) of 99.9% Quality Score with DLA. Our ability to rapidly handle the sourcing, purchasing and logistics requirements of a broad spectrum of parts with speed and efficiency is a key differentiator in our business. In 2014, WBParts successfully demonstrated its commitment to excellence with 100% on-time delivery and quality of products, and was awarded the Lockheed Supplier Recognition Award. Lockheed Martin Aeronautics Company, the world's leading designer and manufacturer of high-performance combat, air mobility, and reconnaissance & surveillance aircraft, relies heavily on our supply base to provide key and critical components required to meet our Customer obligations and support the needs of the War Fighter. WBParts, Inc. is one of those companies we depend on for products and services that meet our exacting delivery and quality standards. 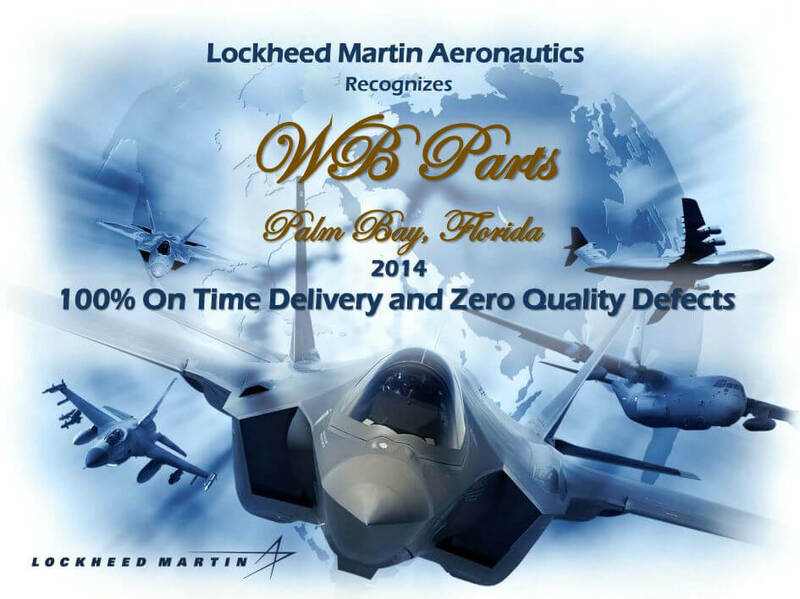 In 2014, WBParts Inc. has successfully demonstrated its commitment to excellence with 100% on-time delivery and quality of their products to Lockheed Martin Aeronautics. Your ability, workmanship, and superior standard of performance have been instrumental in supporting the commitments of Lockheed Martin to its customers. 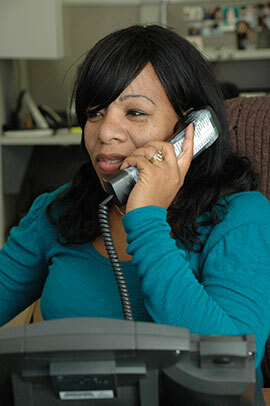 As our company has grown in size, capabilities to service our customers has grown as well. In the early days, we would receive customer requirements lists through our website, or directly via spreadsheets emailed to us. Lists greater than ten line items could cause us problems. Today, with sophisticated proprietary technologies in place, we are able to manage bills-of-material with 4000 part numbers (or more) with relative ease. WBParts was founded in 2006 by the same team that created USBid, Inc. As a wholly owned subsidiary of USBid, we are able to draw upon a decade of procurement experience. Located in Palm Bay, Florida, WBParts serves the aerospace industry as a global provider of aircraft parts and ground support equipment for commercial and military aerospace applications. Through our dedication and commitment to customer service and quality we have been able to grow from "3 guys at desks in a warehouse" to our current level of 40 well trained, empowered, and motivated employees. Our internet enabled online search and procurement service has allowed us to extend our reach far beyond our US borders - to date WBParts has worked with buyers in 183 countries. 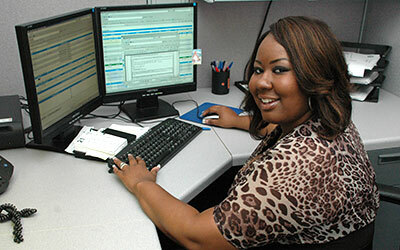 WBParts provides vital resources to help our customers with their procurement needs. When time and manpower resources are limited our customers turn to WBParts to outsource their part searching, sourcing, purchasing and logistics activities. Our specialties includes military aircraft structural components, mil-standard hardware and fasteners, test stands, and aircraft line replacement units and subassemblies. Military aircraft supported include F-4, F-5, Sikorsky CH-53, F-18, F-16, Atlas Aircraft Corporation Cheetah, Sikorsky S70S-9, BAE Sea Harrier, C-130, Bell OH-58D, KC-135 platform, Bell UH-1, and many more. Commercial aircraft supported include Boeing/Douglas and Airbus plus most general aviation equipment. WBParts is an AS-9120, ISO-9001 and ASA-100 Certified Supplier. Additionally, WBParts proudly maintains an "Automated Best Value System" (ABVS) of 99.9% Quality Score with the US Government Defense Logistics Agency (DLA). 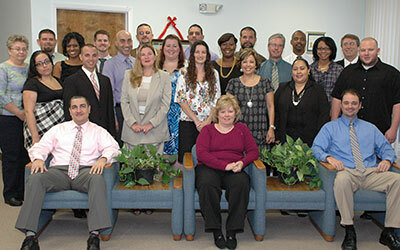 WBParts has an ongoing relationship with DCMA Orlando and has on-site government inspections on a weekly basis. As a CCR registered company, we routinely work with WA/WF and other US Government procurement systems. WBParts is a HAZMAT Shipping Certified facility. Quality and safety are of the utmost importance to WBParts. Each item we ship has been thoroughly examined to ensure it meets the desired standard for our customer and the FAA. Quality Control personnel are qualified and knowledgeable with regard to inspection of aerospace parts and their accompanying documentation. Through strict adherence to the safety procedures and regulations we can ensure the parts shipped meet the highest quality standards possible. "The WBParts Quality Management System is designed to control all of the processes affecting quality and customer satisfaction, from the initial receipt of an order to the delivery of the finished product," said Jerome Pepin, CEO of WBParts. "Customer satisfaction and continuous improvement are WBParts' permanent objectives."